Have you ever thought to change the format of your Posts date? They are there to help new visitors to understand exactly when it was published so, they can assume that the information is precisely up-to-date or not. Now let us come to the point, most of the Blogger templates are not robust enough to display to display Date in your posts. They just show up the time when it was published rather than showing the dates. 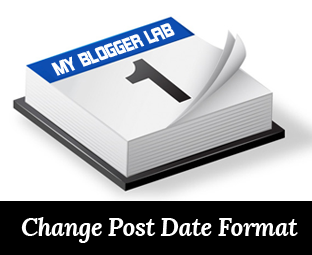 Therefore, in this article, we will Show you How to Change the Format of the Dates of Blogger Posts? You have the liberty to change the dates of your posts as well as archive pages by going through the setting of your site. The first thing you need to do is to Go to Blogger.com >> your site >> Layout >> Post body >> Edit. On pressing the “Edit” link, a new window will pop out which would display quite a few of options. Now just under the “Post Page Options” change the format of your dates. By default, it only displays the time when your article was published, so from the drop down list select the most appropriate date format. Once everything is done press the save button located at the bottom of the page. Congratulations: You have successfully updated the format of the date of your posts. This probably won’t help you in improving your SEO rankings as they are just for the betterment for the user experience. Being a blogger, you should keep your content up-to-date this would not help you to increase your credibility, but it will also help you in gaining the trust of your users. Removing Dates from your posts is something that should not be practiced by anyone. There are few so-called SEO consultants that just think that Google fetches the dates from a simple piece of HTML Code. Google gets the dates from your sitemap. So what are your thoughts? Any suggestions that you may have? How to you type your blog title on calander? Dude, I need your help!! Please tell me how to show YouTube video as a featured image in blogger i.e. on homepage, show video of each post in a specific dimension. I mean, not to use image, but actual youtube video. Thanks! I am not sure, what you are trying to say? 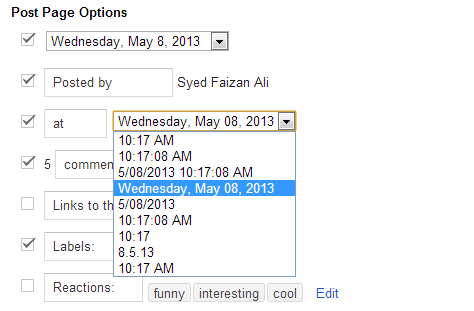 Faizan, the date is not showing up on my blog posts at all. OK, thank you for telling me that. So what code do I need to put into my template for the dates to appear for the posts? I just want to change the format into YY, MM DD? Format that does not exist in blogger choice. Use this CSS to Hide Post body. How to order the posts so that the latest are at the bottom, like in a book?